I'll start by sharing our itinerary because it was an 11-day road trip with a lot packed into it. 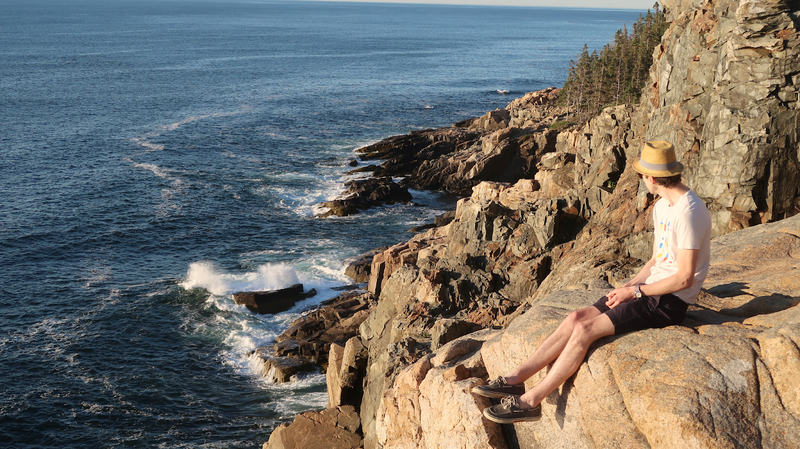 Wednesday: Drove through New Hampshire to Acadia National Park. Camped overnight. 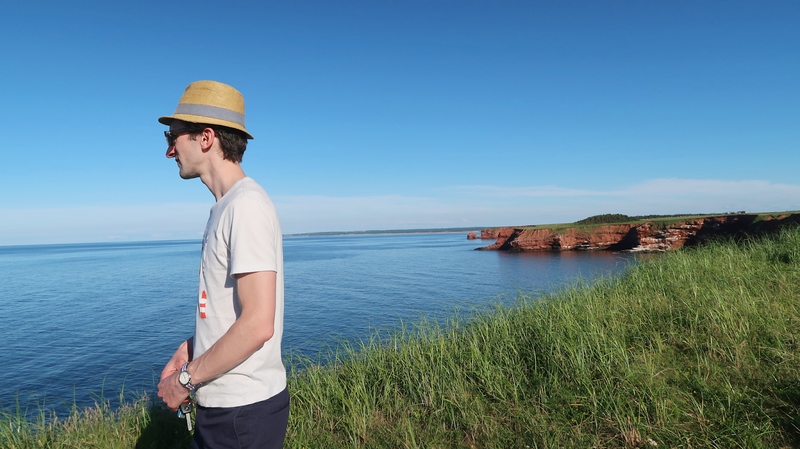 Thursday - Sunday: Drove to Prince Edward Island, camped two nights, stayed in an AirBnB two nights. 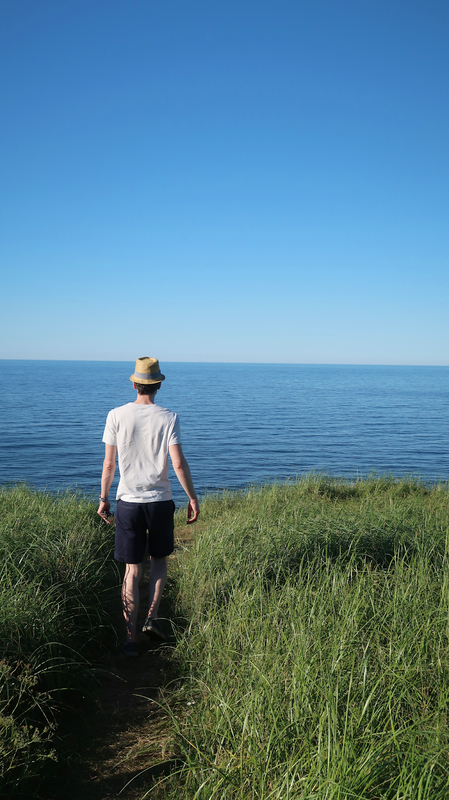 Monday: Drove to Cape Breton, Nova Scotia to camp for two nights. 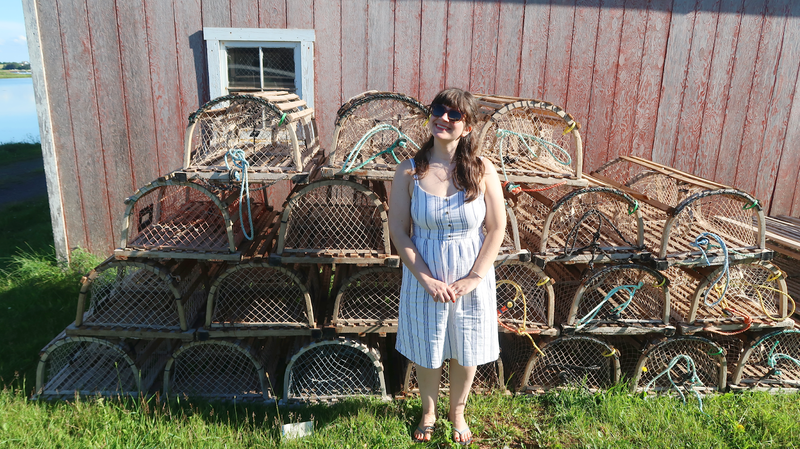 Wednesday: Drove to New Brunswick to see Bay of Funday, and drove to Maine to sleep overnight. 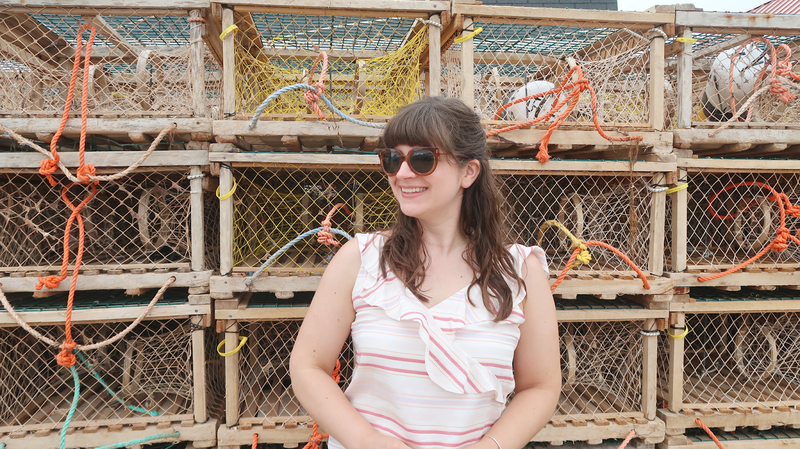 Thursday: Drove to Kennebunkport, ME and stayed for two nights. Saturday: Made our journey back home. We decided to drive rather than taking ferries, and the reason was mostly convenience, and a little bit to save money. The ferry from PEI to Nova Scotia didn't really save us much time because we still had to drive a bit to get to Cape Breton (a hike from the ferry drop-off) and the ferries from Maine to PEI or NS were incredibly expensive if you brought your car, which we needed to do. We debated back and forth and just decided to drive, and take in as many sites as we could along the way. It took us a long time to decide on an itinerary because there are so many beautiful areas we wanted to explore in the direction we were heading. Now that we're back, I think we planned the perfect itinerary for us. The only thing that would have made it better is, well, more vacation days, because we could have easily spent a week in PEI and another week in Nova Scotia. But with the time we had, we were both pretty happy with how we broke up our trip. To recap everything, I'm going to go by destination, and break this up into three parts because I have so much information to share, and took way too many pictures, as per usual. This post will be all about PEI, with a quick recap of our Acadia day to begin. We left before the sun came up Wednesday morning to make our way to New Hampshire. Josh wanted to rent a car because we would be putting a lot of mileage on our trusty Honda Fit, and he found affordable rentals with unlimited miles. So we drove to New Hampshire to pick up our car because it was the best rate we could find that was on our way to Maine. This allowed us to take the scenic route there versus the highway. We ended up getting an upgrade to a brand new SUV, which was a nice bonus because we ended up packing so much stuff, and also bought home a lot of souvenirs. 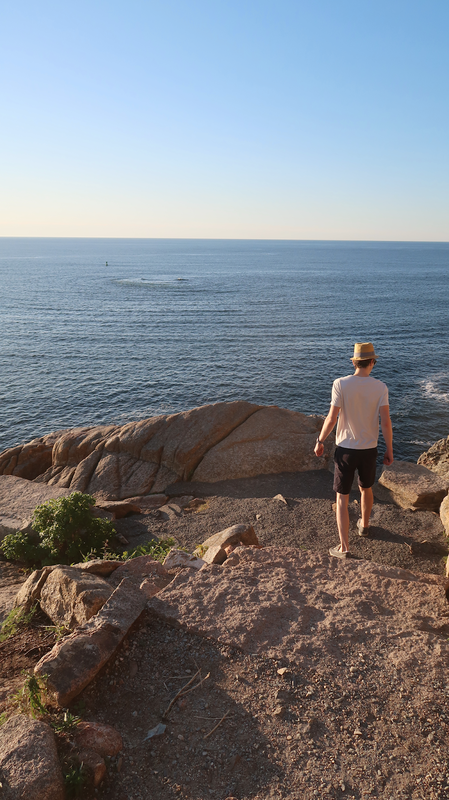 We made our way to Acadia from there. It was about 9 hours of driving total from our house that day, and by the time we got to Blackwood Campground in the park, it was 4 in the afternoon. We didn't have a ton of time to hike around, but we did make an effort to do the Bubble Rock trail before heading into Bar Harbor for dinner. 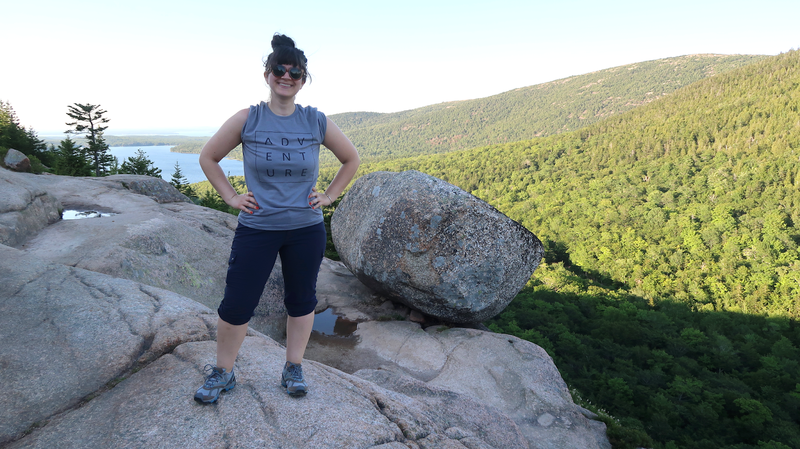 We didn't really understand where the trail head was and ended up taking the insane, super steep rock climbing way up, versus the more relaxed jaunt up the other side, which is a cleared walking path. I was dying when we got to Bubble Rock, but the views more than made up for it. We grabbed a quick dinner in town before zipping up our tent to go to bed. View from the top of the Bubble Rock trail. The next morning, we woke up before the sun again to get to Otter Cliffs right as the sun was coming up. It was so beautiful and no one was there. 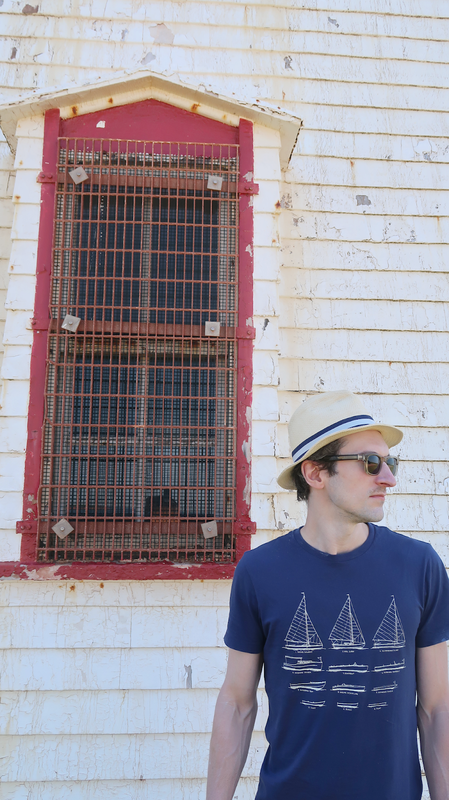 After some time taking in the scenery, we headed into Bar Harbor to grab breakfast before our drive to Prince Edward Island. Otter cliffs a few moments after sunrise. 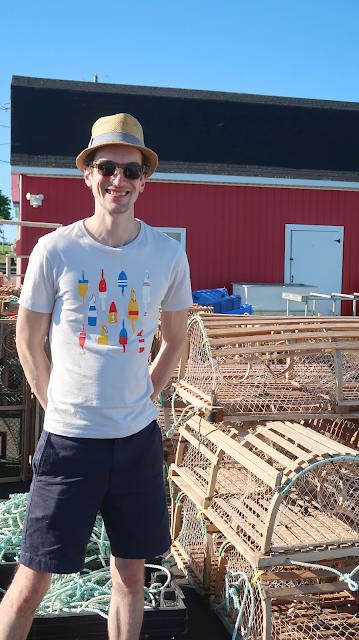 One thing I wanted to mention that made planning our PEI trip so much easier was the Ask An Islander feature on the PEI tourism website. It's such an incredible function I can't even believe exists, and it doesn't surprise me it's Canadian. 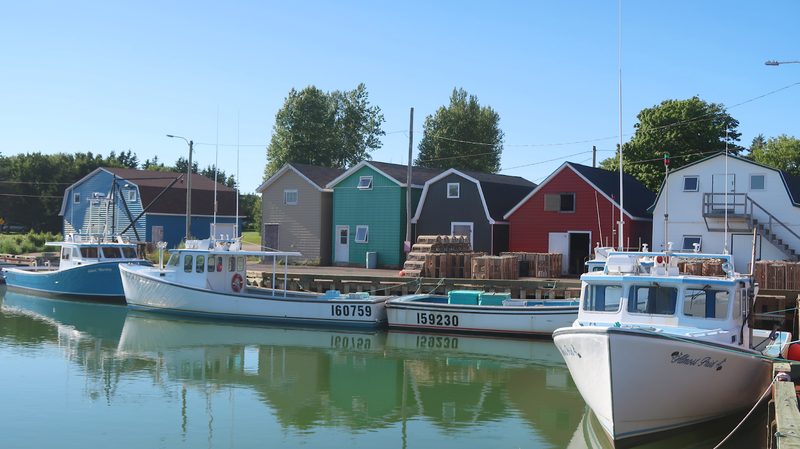 You can submit questions you may have about visiting PEI and an islander with lots of knowledge writes you back in such a pleasant and friendly way. It's such a fun little feature that I actually used a few times when online research wasn't getting me places. Anyhoo, back to our journey. 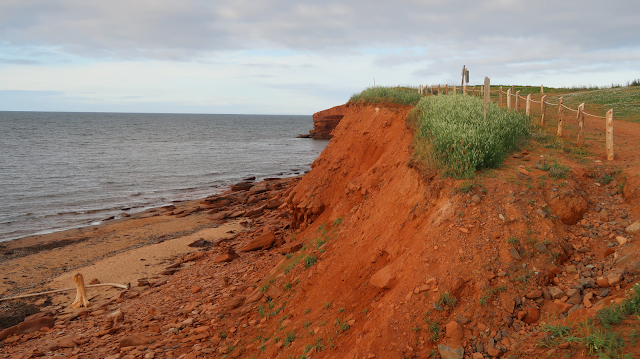 It was about six hours to our first PEI destination, Marine Rail Park, which is located as you first enter the island from the Confederation Bridge. 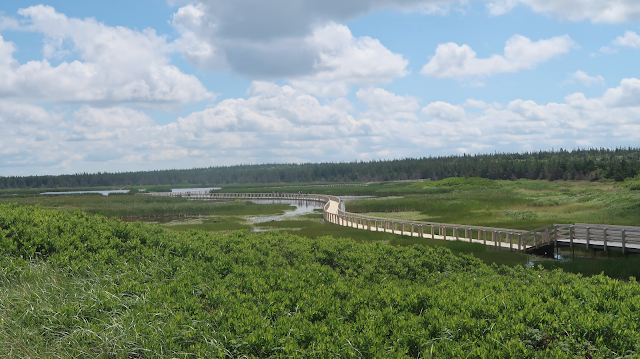 I wanted to stop here because one, I wanted to get out of the car as soon as we got on the island and two, I saw online that you could take in a great view of the bridge from here. 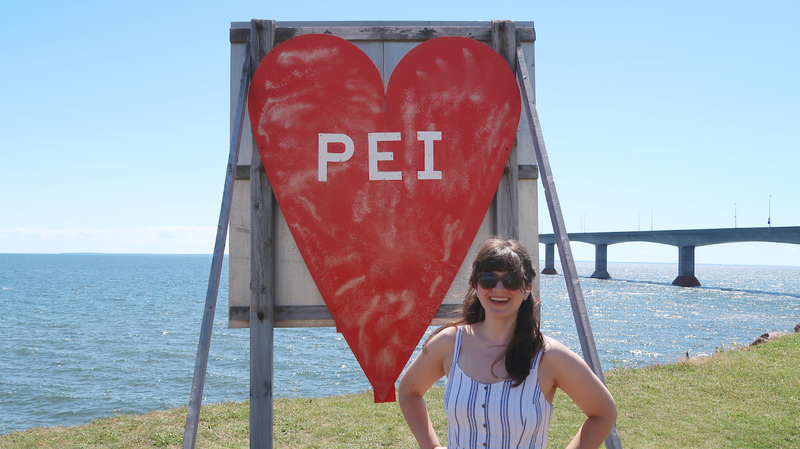 The little PEI heart sign was awfully adorable as well, and made for a cute photo. The park also has bathrooms, so it's a great little pitstop if you've been driving a while. We stayed on PEI four nights total, and decided to camp two nights and AirBnB two nights. It took us a while to familiarize ourselves with what areas of the island to call home for four days, and after a ton of research, we decided the North Shore was the perfect place for us. 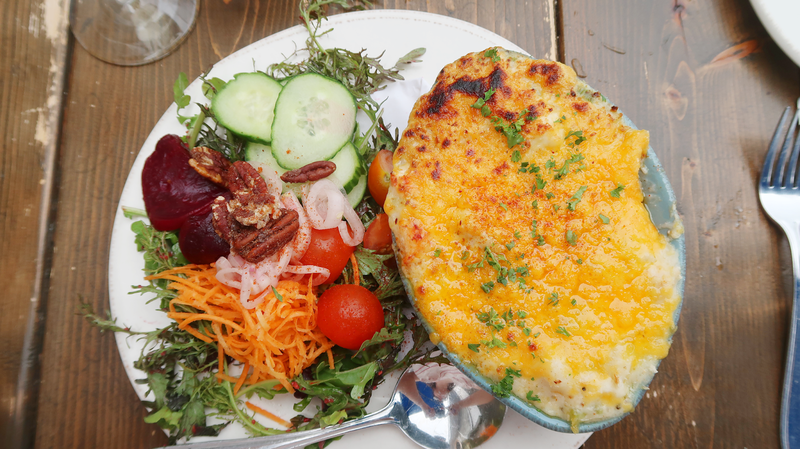 There are towns with restaurants, and lots of countryside to explore, especially within the National Park. For our camping portion, we landed at Twin Shores, and this was an amazing campground. 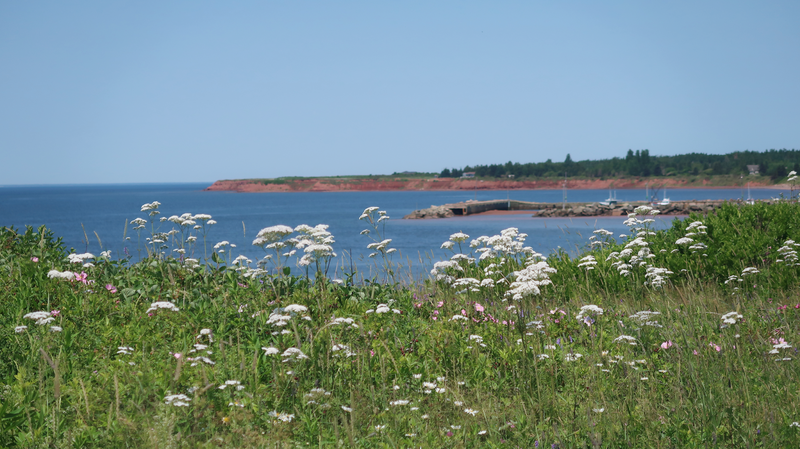 It's almost right on the beach, and centrally located to quite a few areas I wanted to see, including French River, Springbrook, Malpeque Bay and Cape Tryon. The campground is pretty much ocean-adjacent, and our tent site was literally 10 paces, if that, from the ocean beach access point. We fell asleep to the sound of waves, and were able to go for quick swims and long walks on the ocean whenever we wanted since we were right there. 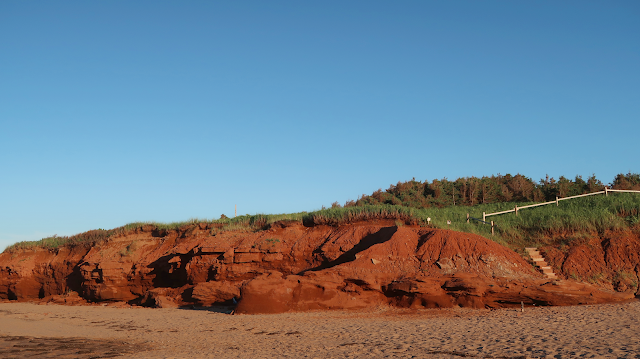 Red cliffs along the beach at Twin Shores Campground. Teapot Rock was a 30-minute or so walk down the beach from our campsite. Our first day there, we crammed in most of the sites in that area I wanted to see into one afternoon and evening. One great thing about being on Atlantic time was that the sun went down later than we were used to (around 9 p.m., and didn't get fully dark until closer to 10), so we were able to squeeze a lot into one day. L.M. Montgomery always described the seaside country landscapes so well, and seeing places like the ones she would write about, with my own eyes, was incredible. I couldn't get enough of the vast farmland and ocean-side views. There was always something to look at while driving around, and it really was rather breathtaking. 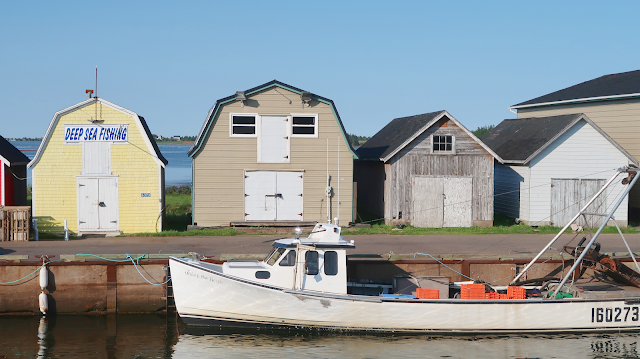 French River, PEI. 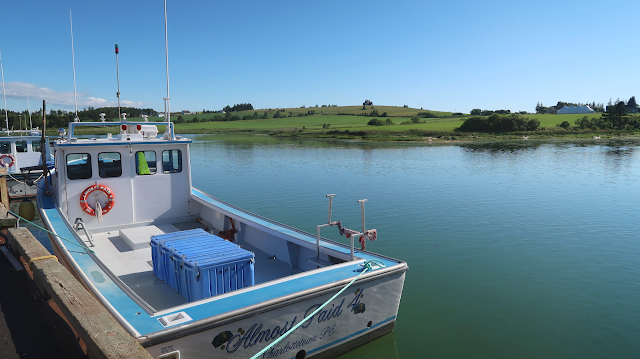 This little harbor is just smack dab in the middle of farmland. French River, view from the road. Spring Brook, PEI, a view from just off the road (seriously). Give me all the mussels. 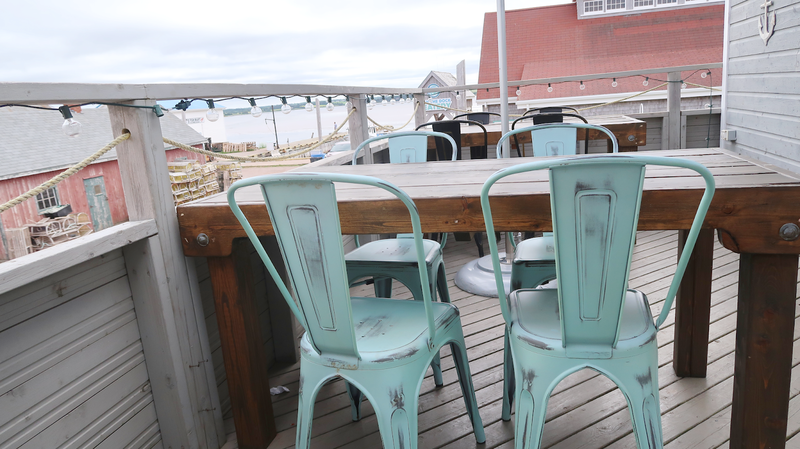 On the deck at Ship to Shore restaurant. 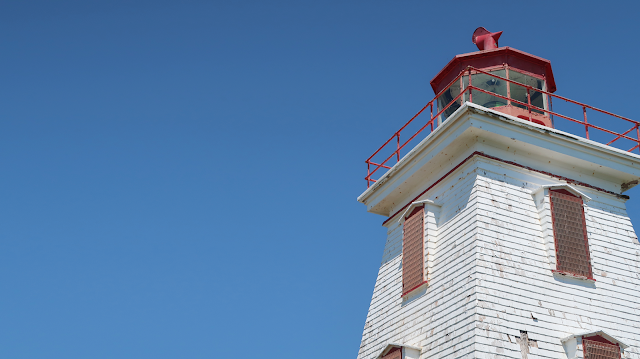 Cape Tryon lighthouse. 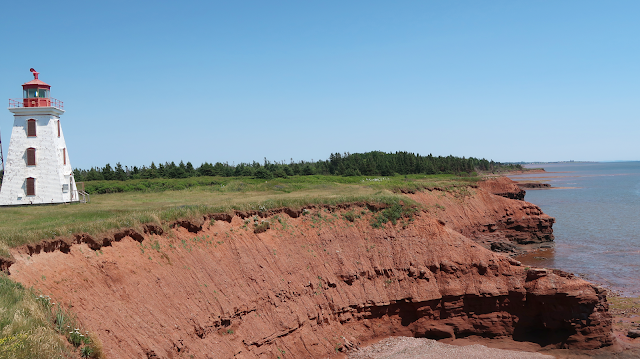 If you want views of red cliffs, go here. 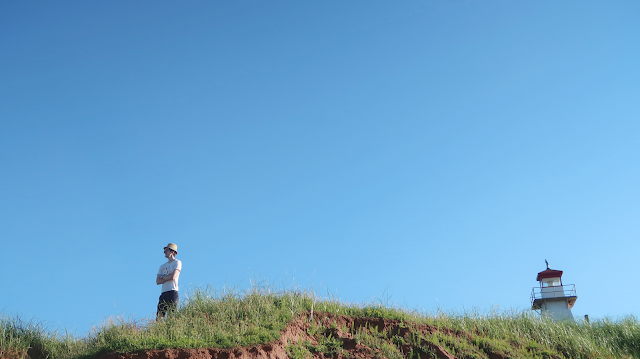 Feeling like we were walking toward the edge of the world. I was so proud of Josh for taking this photo - it's so cool! The next day we made a venture out to West Point. While staying at a B&B in the Cape last December, one of the coffee table books they had displayed was all about East Coast lighthouses. The black and white stripes on the West Point Lighthouse quickly became one of our must-see destinations. It was right on Cedar Dunes beach, so we were able to get in another ocean walk before heading out for our adventures that day. When we pulled up, we also saw a fox hanging out in the parking lot, so I was pretty excited to have had spotted one of these little guys. We stopped at Cape Egmont lighthouse on our way back, and grabbed a quick ice cream cone, which overlooked a potato field. This little guy was just hanging out, and posed for a quick photo op. 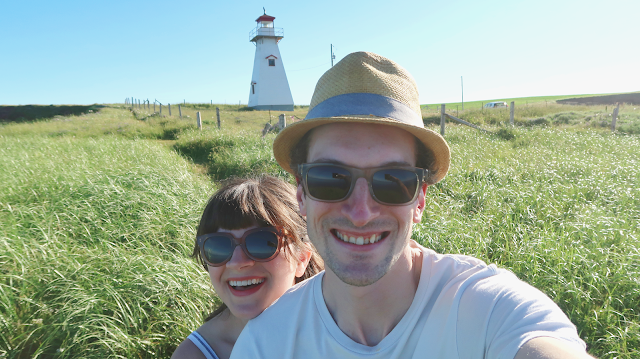 The friendliest lady came over when she saw us struggling to take a selfie with the lighthouse and offered to take our photo. She took about 10 of them at all different angles to make sure we got a good one. The people here were so friendly (she was definitely Canadian). I loved that you could see the red sand from the water. Cape Egmont Lighthouse was surrounded by Queen Anne's Lace. Do you guys remember when Marilla got frustrated with Anne for putting flowers in her hat on her way to church? Always be a rebel when it comes to flowers in your hair. I'm not sure what the light green fields are, but I loved them. 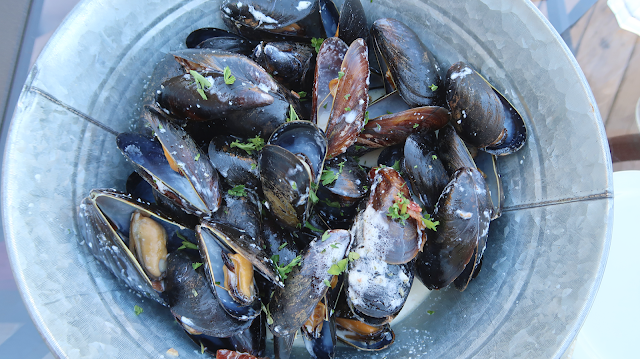 More mussels, please and thank you. On the deck at Sou West. Fishing harbor next door to the Sou West restaurant. 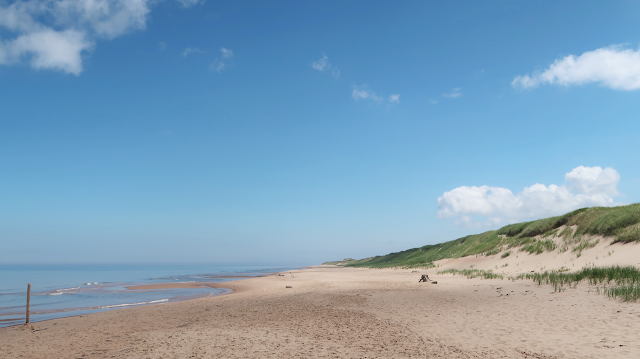 After our two nights of camping, we packed up and made our way to Brackley Beach to check into our AirBandB. It was a nice little place to call home for two days after camping the previous three nights, and we planned it that way on purpose to catch a bit of a break from tenting. The cottage hosts provided private beach access with a canoe (which we totally used one morning) and they also offered a pass to get into the National Park, which was awesome (we definitely used that, too). 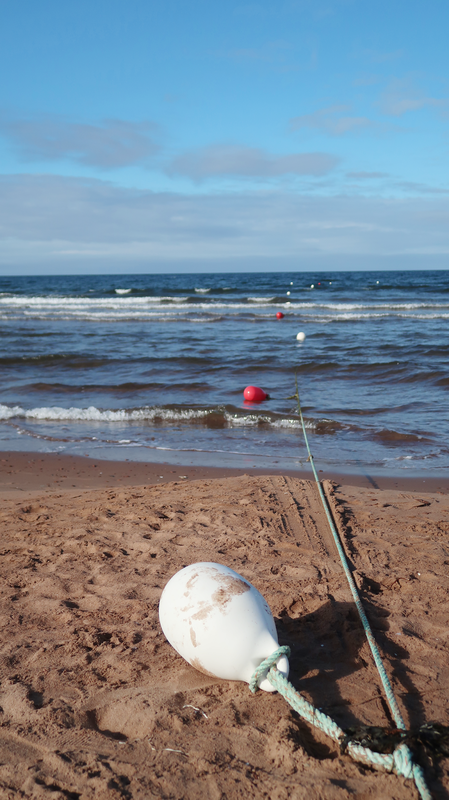 While at the cottage at Brackley Beach, it was my birthday. 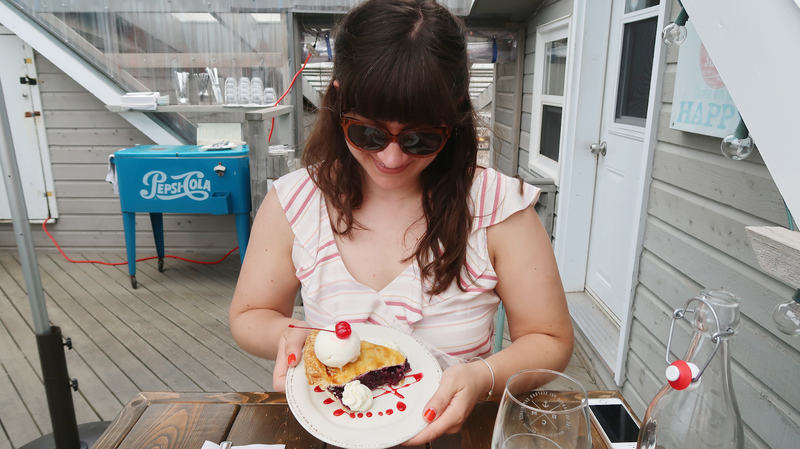 For the past four years, I've spent my birthday on the Cape, and had a pretty great formula down for my perfect day: Breakfast of whatever the heck I felt like (usually pancakes), a massage, beach for the whole day with a glorious lunch picnic, and dinner at my favorite ocean-front restaurant. So it was actually exciting to plan a different kind of day this trip. 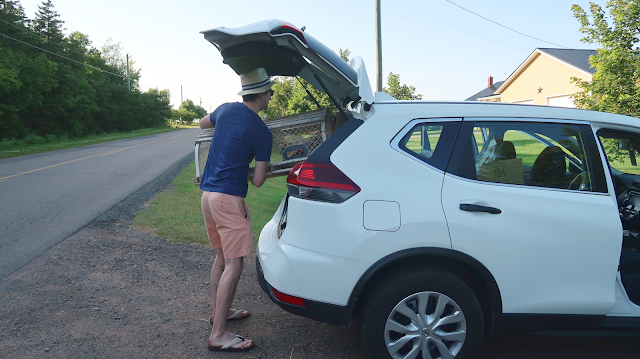 We started our day in a less-than-glamourous fashion by packing up our campsite at Twin Shores, but on our way to Brackley Beach, we stopped at Prince Edward Island Preserves Company for breakfast. The food was amazing, and the grounds were lovely. 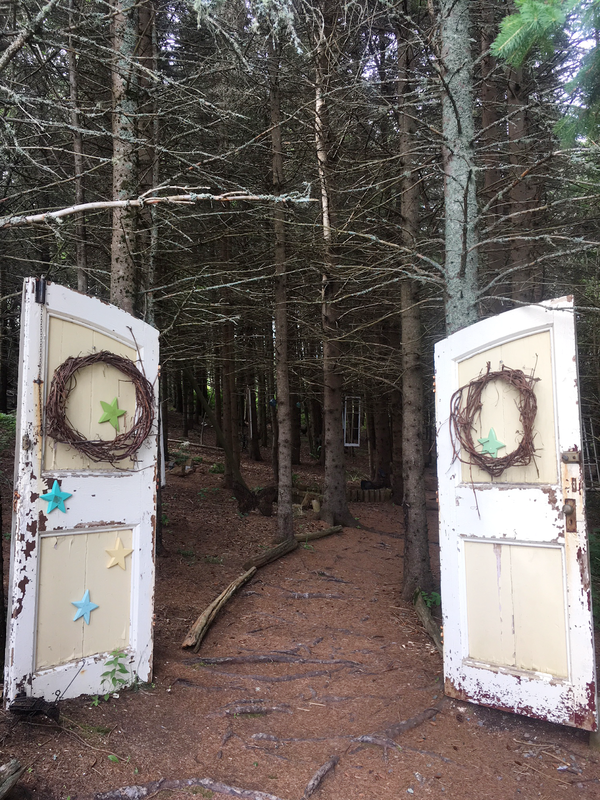 After breakfast, we took our time walking through the gardens before getting back in the car, and my favorite part of the gardens was the magical forest, where the hanging doors and windows totally gave me all the Alice in Wonderland feels. Our next destination was a birthday massage. I found Serenity Salon on Google, and she was absolutely lovely. Her studio is in her private home overlooking the water, and even the scenery put me right at ease. 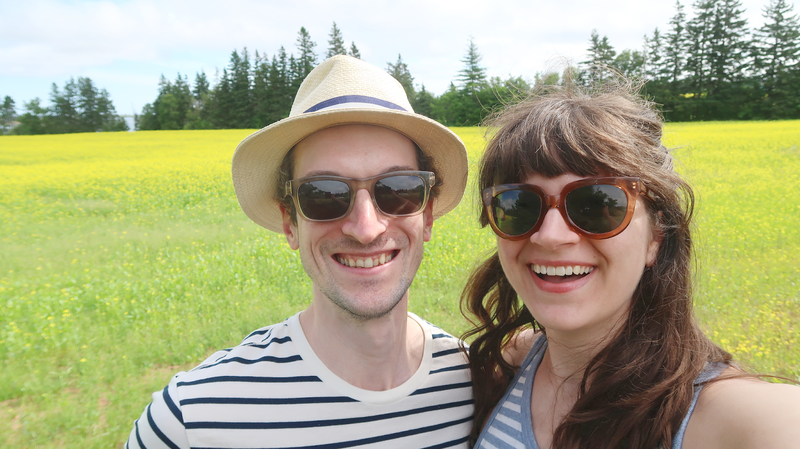 Feeling super relaxed, we made our way to check-in at our cottage, and spent the rest of the day adventuring through the PEI National Park. 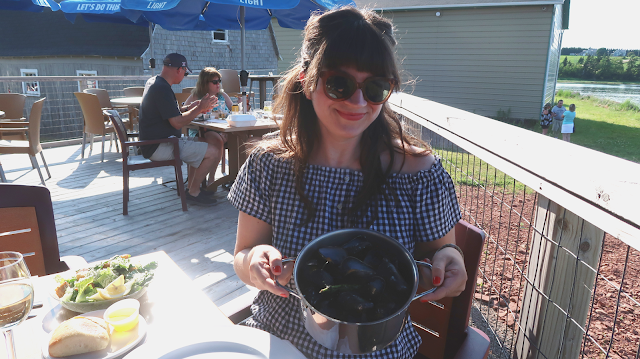 For dinner, we landed at the Blue Mussel Cafe in North Rustico, where I had an incredible seafood stew and seafood bake, and blueberry pie for dessert. The night ended with a walk on the beach, and driving around to see the red sandstone cliffs in the National Park. 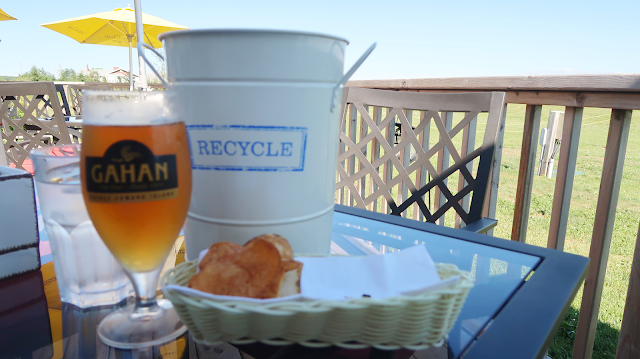 Breakfast at Prince Edward Island Preserved Company. Everything was so good. Entrance to the Magical Forest on the PEI Preserves Company grounds. A lighthouse in the National Park, but I honestly don't know which one it was. We just saw it and pulled over quick. Blue Mussel Cafe in North Rustico. 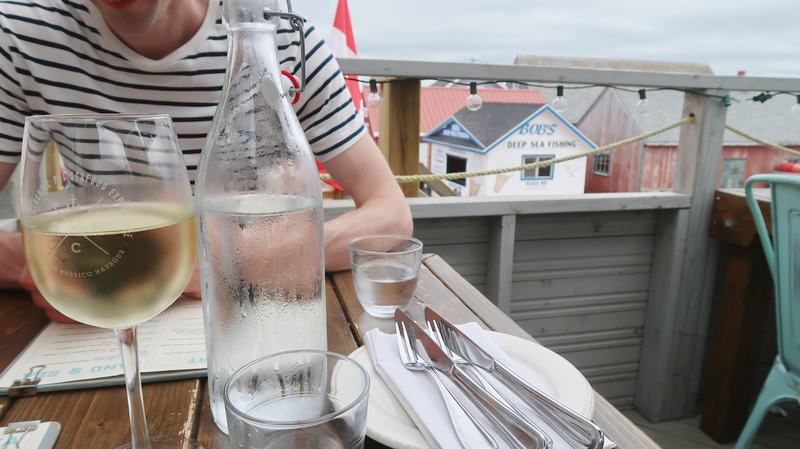 We sat on the upper deck at Blue Mussel Cafe, which overlooked the fishing village and harbor. and he had a bucket out front to accept payment with the honor system when he's not there. Blueberry pie, get in my belly tout suite! I wish all lifeguard stations looked liked this. The cliffs in the National Park. 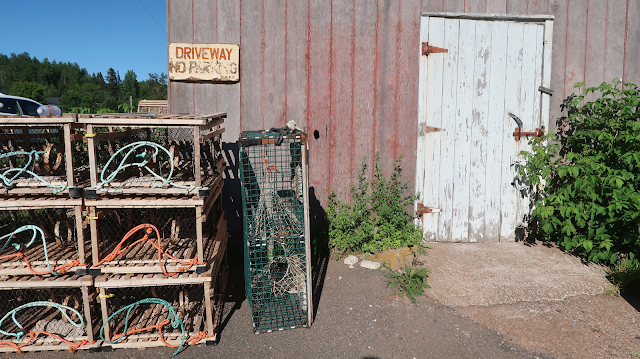 I was completely smitten by North Rustico. It was a tiny, charming little fishing village with lobster traps and boat houses everywhere, and home to some really awesome restaurants. 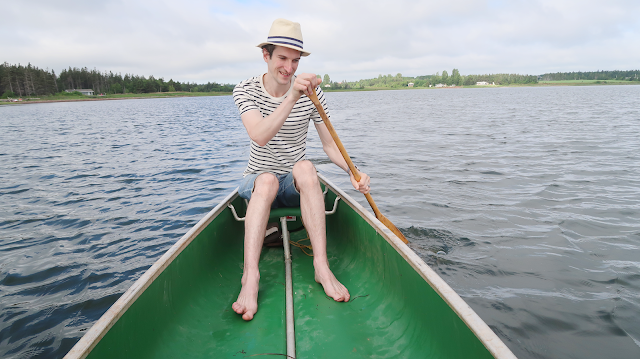 On our last day on PEI, we started our morning with a canoe ride from the private beach near our AirBnB. 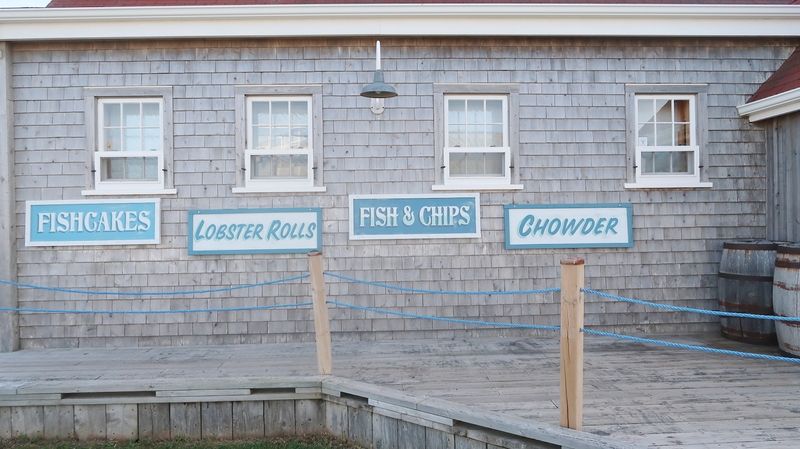 Then, we made the drive to Greenwich to see the boardwalk, and also take in the beach there. 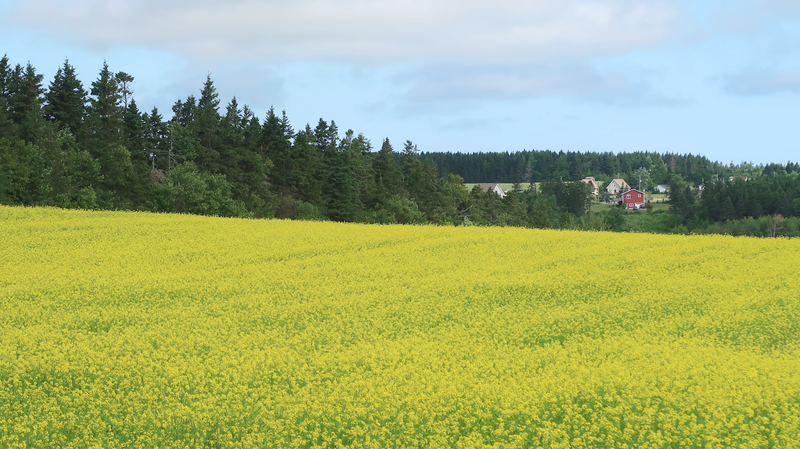 Along the way we passed some amazing canola fields, which were the most vibrant shade of yellow. You could spot them a mile away, and they were so cool to see in person. I wish my camera captured them better. 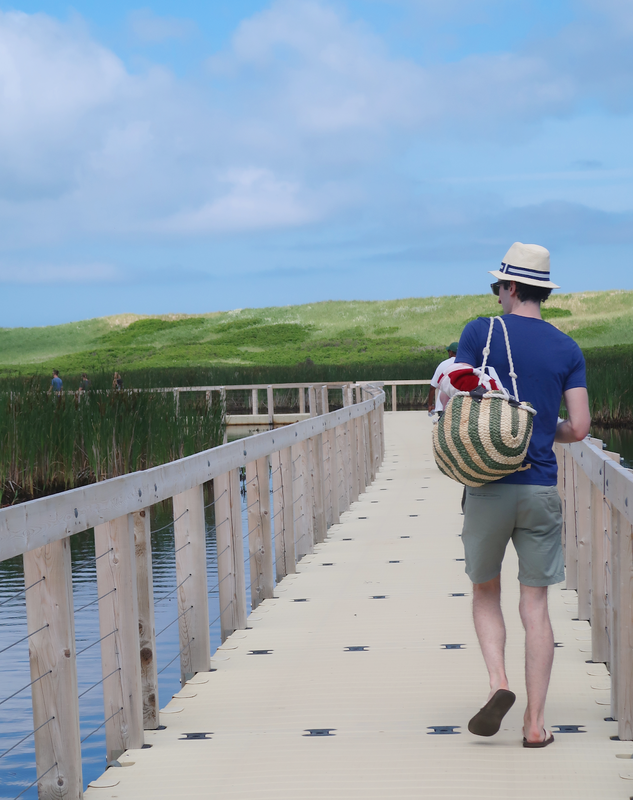 When we finally got to the end of the Greenwich boardwalk, we were greeted by an amazing beach with very few people. So we quickly changed into our swimsuits (under our towels like crazy people) and went for a swim. We were told by locals that the 80-degree weather we were experiencing was a heat wave for them, and the cold ocean water felt amazing after a long walk on the boardwalk. Even though there were a few other people swimming, we felt completely secluded by walking a little further down the beach. So many colorful flowers on the path to the Greenwich Boardwalk. The beach at the end of the boardwalk. I loved that you could barely tell where the water ended and the horizon began. For our last night, we headed back to North Rustico to have dinner at On The Dock and went into Cavendish to get ice cream at Cows Creamery. 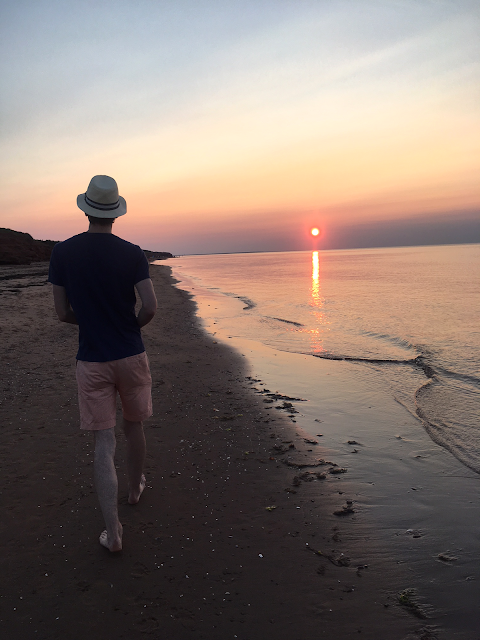 We ended with a sunset walk on Brackley Beach, and I couldn't get over how everything illuminated with the amber hue that PEI is known for. The last photo in the batch below of the beach is not edited at all - it's just how it looked, and I wanted to keep it that way. 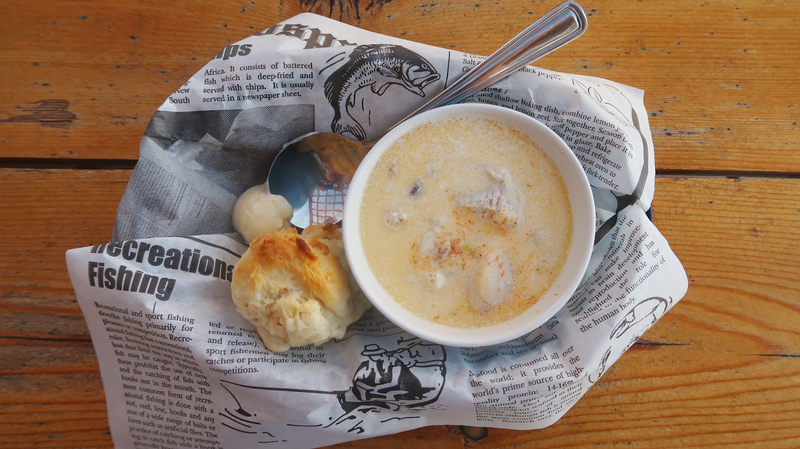 Seafood stew at On The Dock. 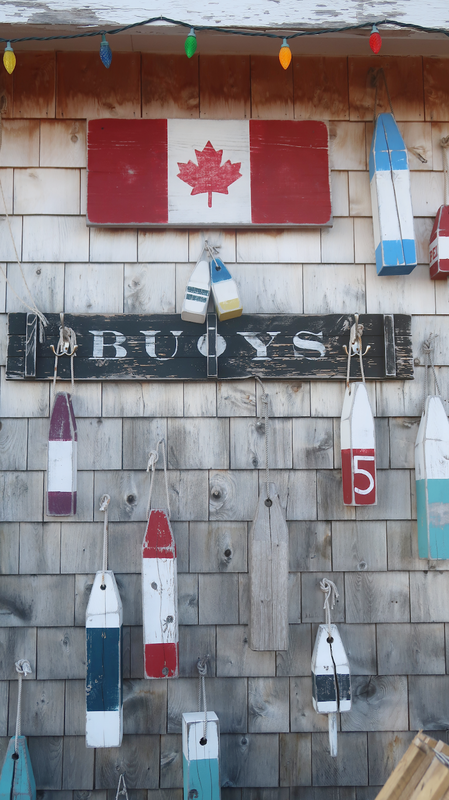 I can't resist a good buoy wall. One thing I will point out is, if you're an Anne fan, you may have noticed we skipped a lot of the Anne things on PEI, despite the fact that we were pretty much right there. 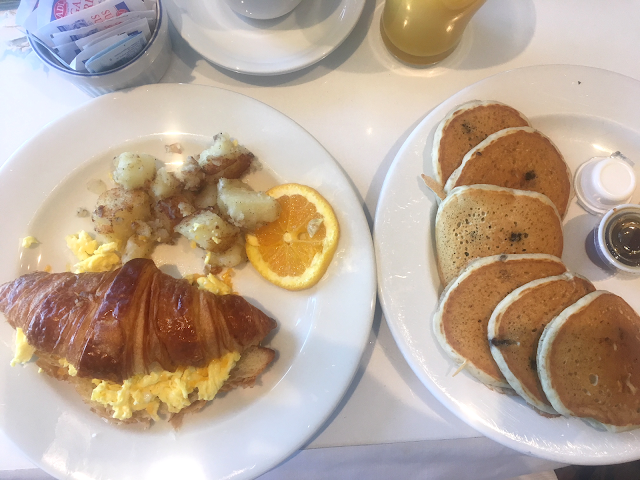 After doing a lot of research, I decided since we were only there for four days, I wanted to prioritize really getting an authentic feel for the island. Many of the Anne sights - L.M. Montgomery's family house and Lover's Lane, for example - were authentic, but seemed more touristy to me. 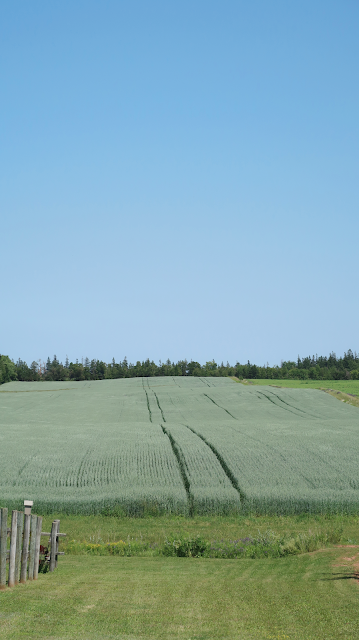 I decided before the trip if I felt like exploring the Anne sights and we stumbled upon them, we could stop. But if not, I was more than okay with that. I don't regret not stopping at any of them. 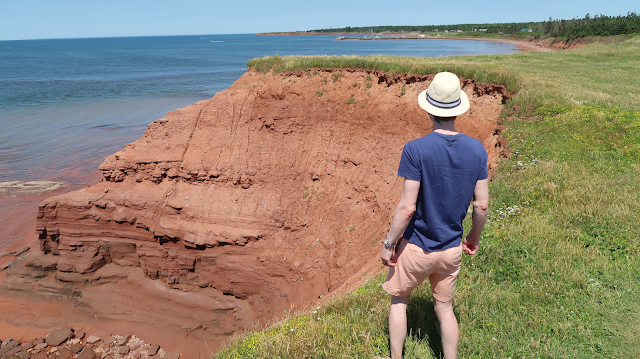 What has made me want to explore PEI for so many years is the scenery and local culture, and we definitely soaked up a lot of that. If we had gone for a whole week, I probably would have stopped, and if we ever go back, I likely will make it more of a priority. But honestly, I don't feel like I missed out on anything. The weather during our Canadian portion of the trip couldn't have been more perfect. The forecasts had been calling for rain every other day a week leading up to our trip, so we prepared for dealing with that. But every single day, it was low 80's, sunny and beautiful outside. I don't know what we did to deserve such amazing weather the entire time we were there, but I'm so grateful for it since everything we wanted to do was outside. 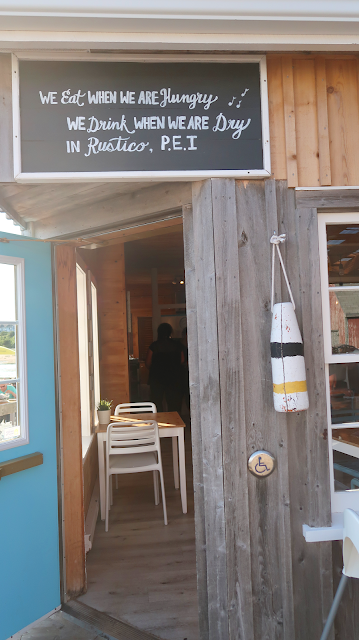 For dinners on PEI, we ate at On The Dock and Blue Mussel Cafe, both located in the North Rustico harbor, and also Ship to Shore and Sou'West, which were more out by the Kensington area. I loved them all equally, with Blue Mussel Cafe maybe having a slight lead. All were fantastic. I sampled steamed mussels at a few places, and tarragon cream sauce was my favorite preparation. 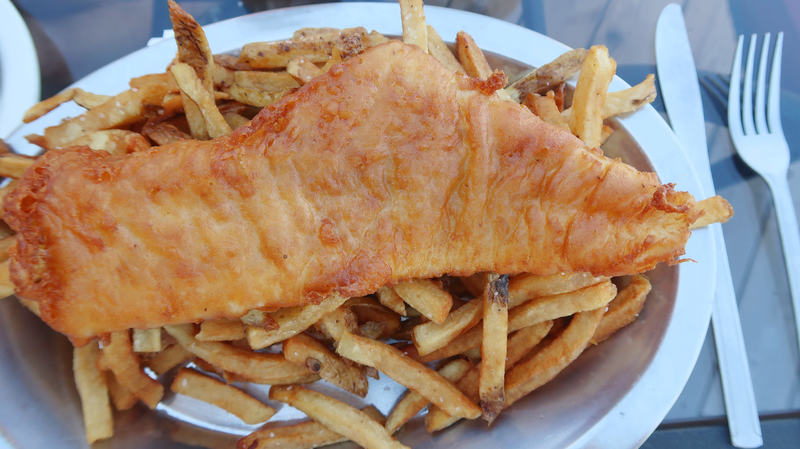 Ship to Shore has the absolute best fries and potato chips (the chips they bring you as an appetizer). I kept telling Josh that I swore I could tell potatoes were locally grown on the island because they just tasted better. But my palette isn't super refined, so I could be making that up. 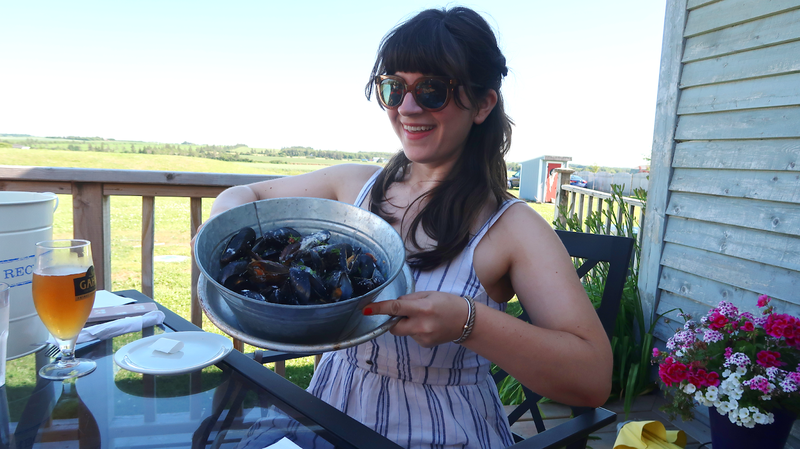 Mussels at Ship to Shore restaurant. Fish and Chips at Ship to Shore. Blue Mussel Cafe was the most unique in decor as well as menu. 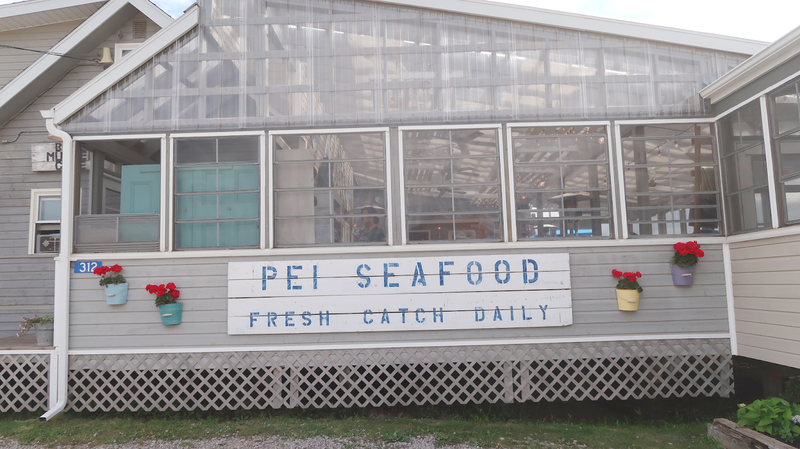 But really, I didn't have a single bad, or even "okay" meal on PEI - everything was fantastic. At On The Dock, Josh ordered a local drink called Colliding Tides, which is a gin and tonic premixed drink that comes in a can. We quickly became obsessed with it because it was surprisingly delicious and refreshing, and not overly sweet. Kind of the perfect summer drink. We stopped at a liquor store on our way out and got some to bring home! I only have one left because I broke into them in Maine on our way home and I'm kind of sad. 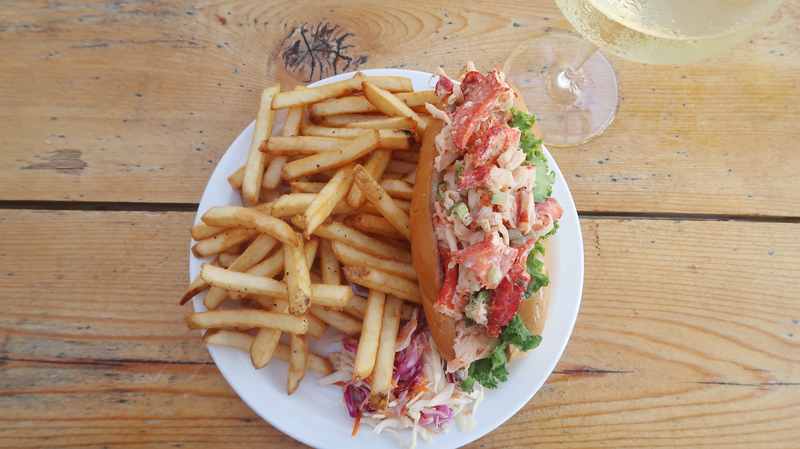 Lobster roll at On The Dock. 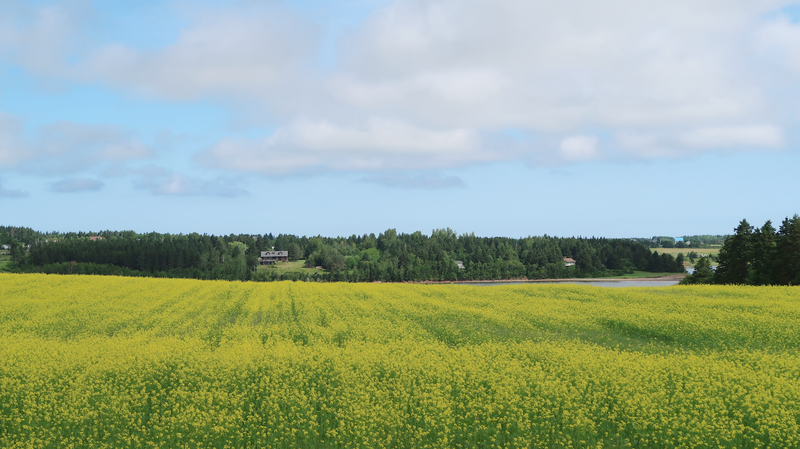 Taking in the drives to just see everything - the fields of farmland, the water, red sand beaches - all of it. 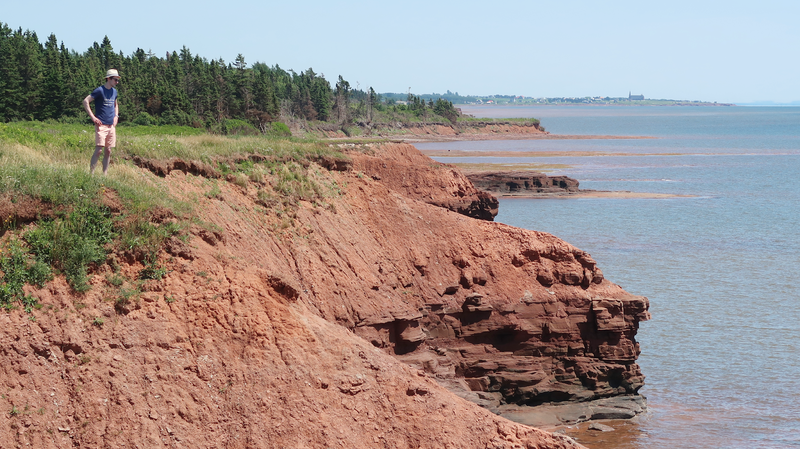 I loved the drive along the north shore National Park when we got to see amazing views of the red sand cliffs. I was pretty happy that night. Also, watching the sunset on the beach near our Twin Shores camp site was pretty incredible. The sky made so many colors that night I could never even come close to forgetting it. Sunset on the beach at Twin Shores campground. 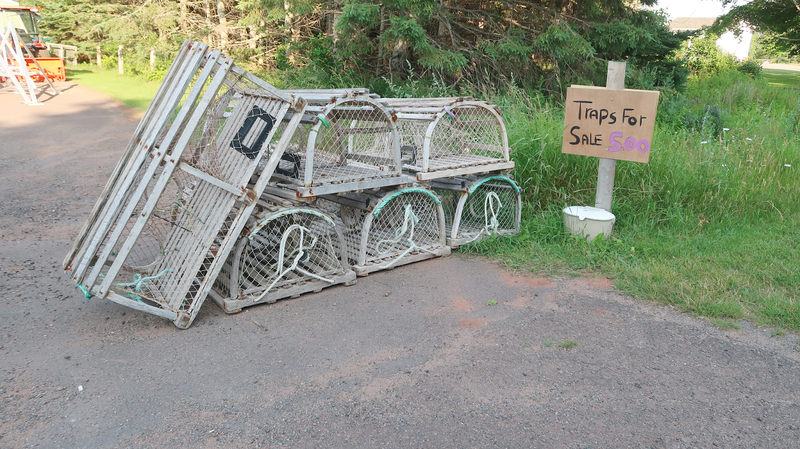 We also bought a lobster trap on the side of the road - they were for sale at the end of quite a few driveways! We kept debating it when we drove by, and Josh finally pulled over and just said, "we're doing this, they're only $5." So we did. And this thing was huge, it was a struggle getting it in our car with all our other camping accouterment. Twin Shores is an amazing camp ground, but beware it's very family-oriented. Kids.were.everywhere, darting on their bikes in front of cars and pedestrians on the walking path, trying to get in and out of the campground, etc. But it didn't really bother us too much because having beach access right there was incredible. I could have stayed there all four days and been perfectly content. 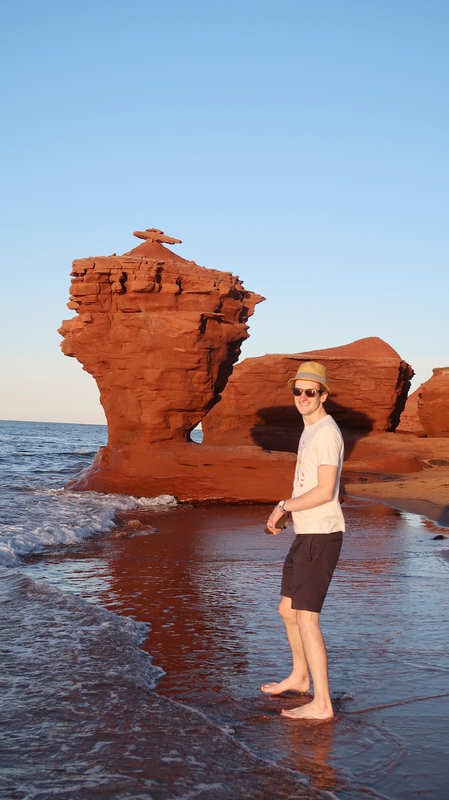 It's also a 30-minute stroll down the beach to Teapot Rock, which is a beautiful rock formation that provides great photos (see above). The beach on the campground also offered amazing sunsets over the water, which we definitely took advantage of. 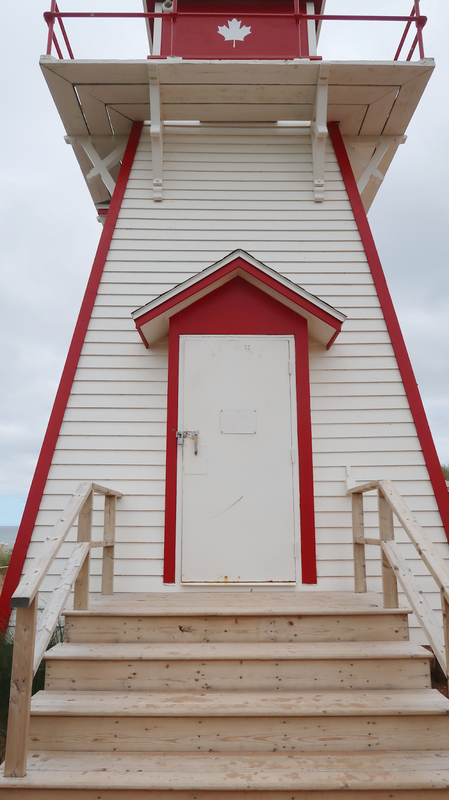 The showers were clean (and only accepted Canadian quarters, which we learned the hard way), and also has a very good general store and coffee cafe/snack shack on site. The National Park is an absolute must. 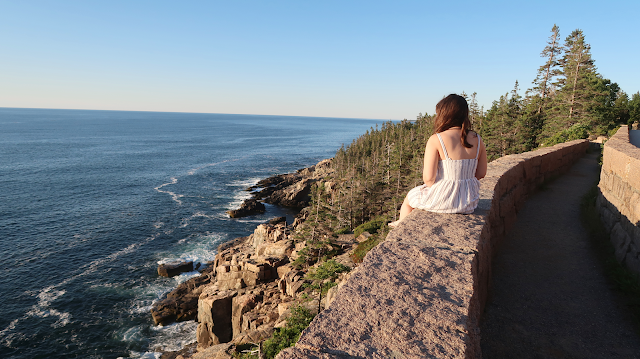 So many amazing overlooks to view the cliffs, and also some very lovely beaches. 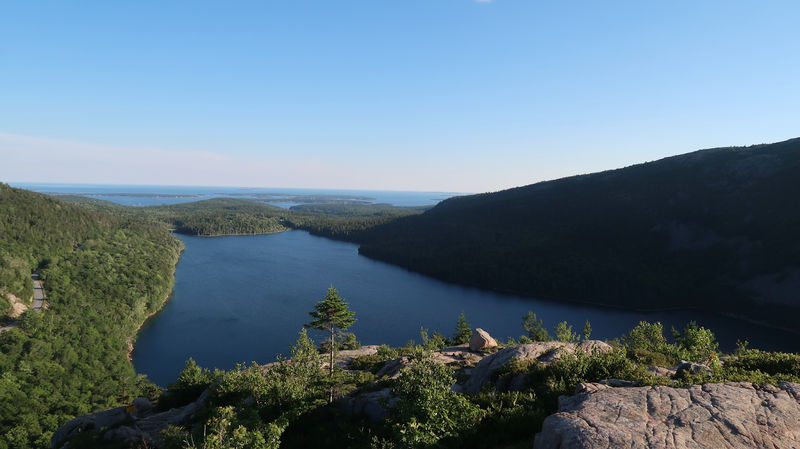 My favorite drive in the park was just after Brander's Pond along the coast - we got some amazing photos there. Cape Tryon Lighthouse offered amazing cliff views as well, and not located in the National Park. 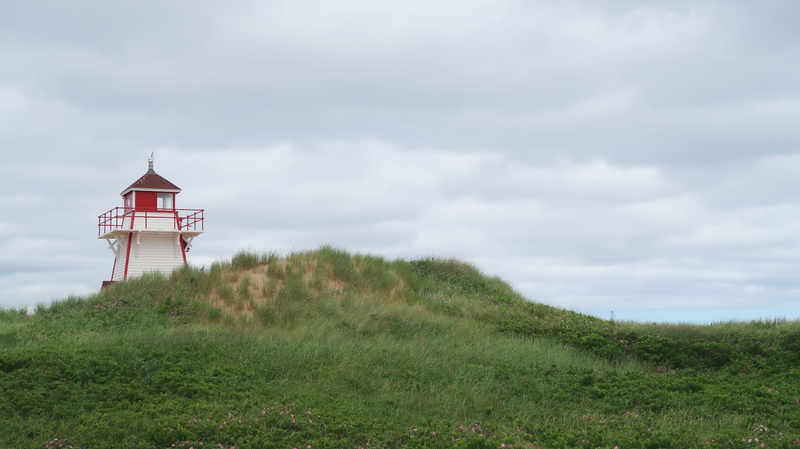 Lighthouses were always down a narrow, red-sand road, and you felt like you were going the wrong way, but always ended with some spectacular views. No one was ever around us at lighthouses, so they made for really awesome moments. 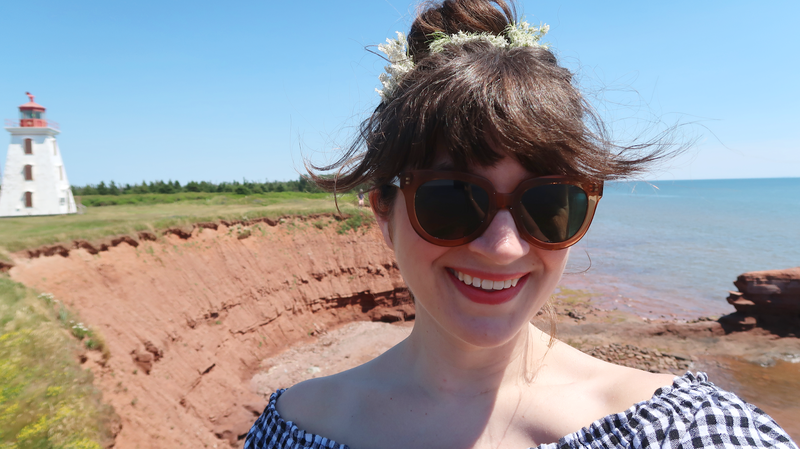 I had found a boutique called Maude + Montgomery on Instagram while searching for PEI hashtags to get ideas of places to see. 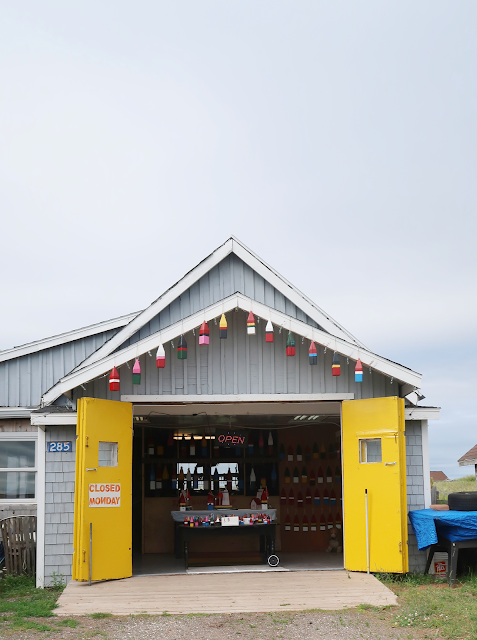 They're a little off the beaten path, but I loved this little store. 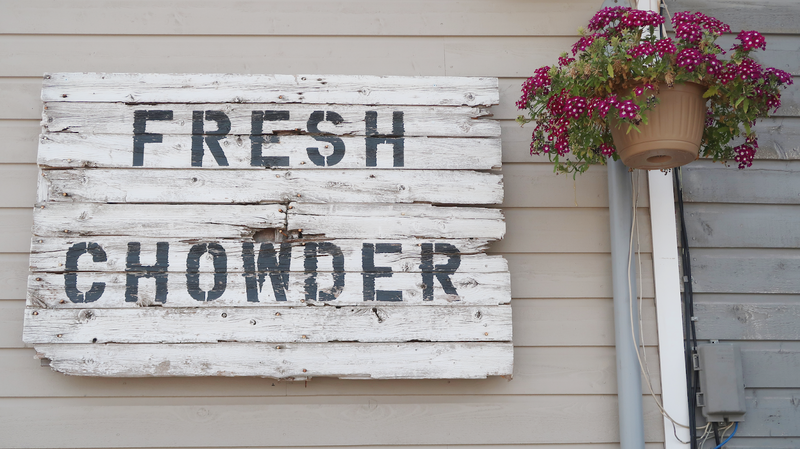 It was in a house on the side of a country road, and they had such a lovely selection of household and decor items. They sell pottery very similar to my favorite Farmhouse Pottery, and also linens, soaps, candles, etc. I didn't get any pictures of the inside, but I did take a picture of the building. 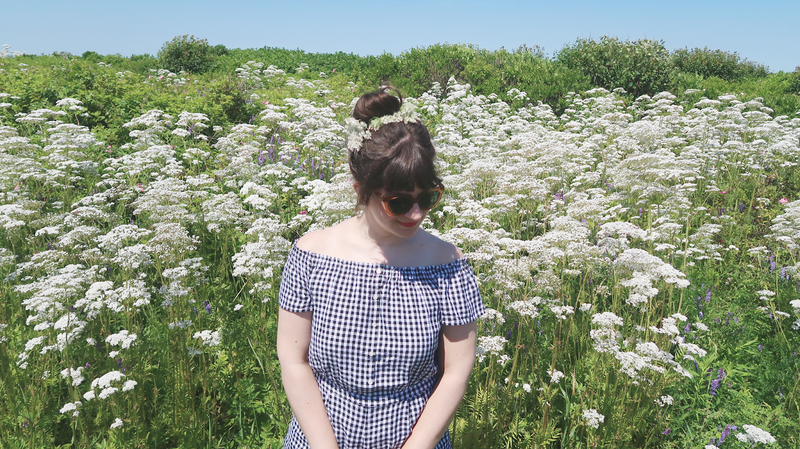 I also may have purchased a couple of little goodies while here: a bar of soap that smelled divine and the cutest little coffee table book about living on the East Coast, written and illustrated by Nova Scotia natives. 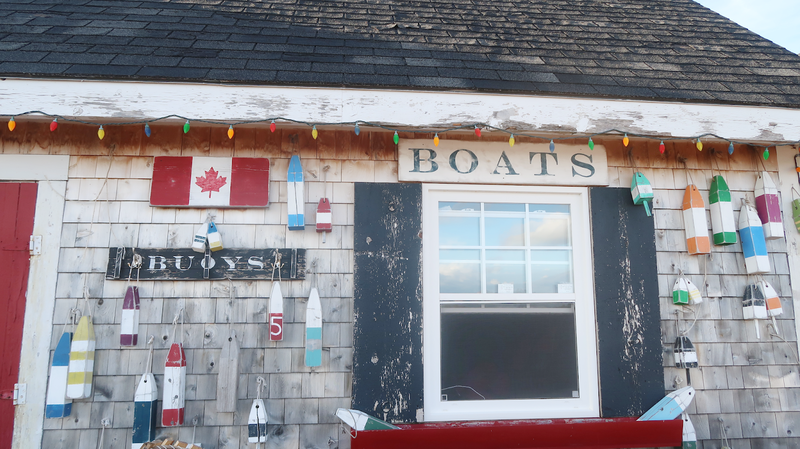 I'll explain more down below, but even though Charlottetown wasn't a highlight of our trip, I loved going into Northern Watters Knitwear to buy a locally-made sweater and mittens. Josh also got a hat that I will probably be stealing for myself from time to time. The women working there was lovely (a Nova Scotia native) and explained how the sweaters are knit, the type of yarns they use, where the trees are from for the wood they use on the buttons - the whole experience was genuinely lovely. And the knitwear comes with a lifetime guarantee. A little easier for locals, but they said we could mail our pieces back at any time if something happens, or they don't hold up like they should, and they'll make it right. Each piece also came with a tag with the name of the person who knit your pieces. Cows Creamery. Hands down. We tried to venture out and explore as many ice cream places as possible and Cows was the clear winner for quality and flavors. Most other places we went to have only a few hard flavors, and were mostly soft serve. Cows only offers waffle cones or a dish, and the waffle cones were amazing. 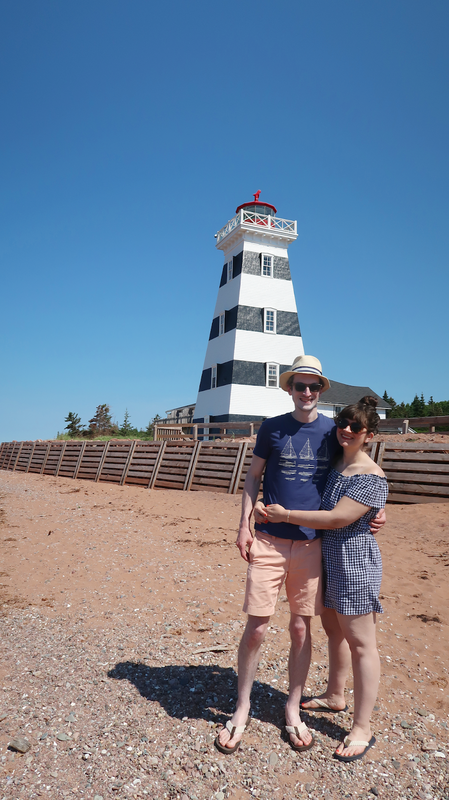 This is totally personal preference, but we went to Charlottetown for a few hours, and I could have skipped it. It's beautiful with some lovely architecture, and I totally appreciated it for its character, but my preference was really to see the more rural side of PEI. 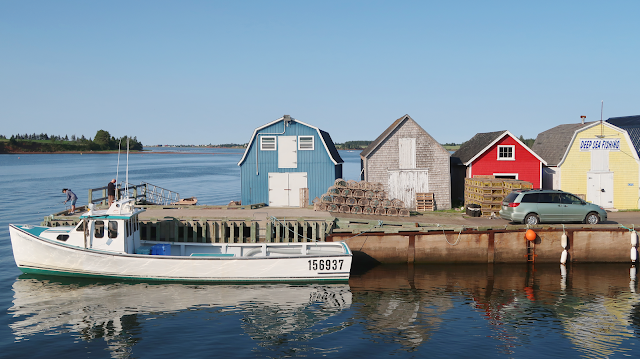 I could have left without seeing Charlottetown and would have been totally fine. But, that said, I'm so happy with my knitwear purchases, so I guess it's a good thing we went after all. If you're staying on the island for a long time, or are energized by more urban environments, I would say definitely pop into Charlottetown, but if you're on limited time, you're okay to skip it. 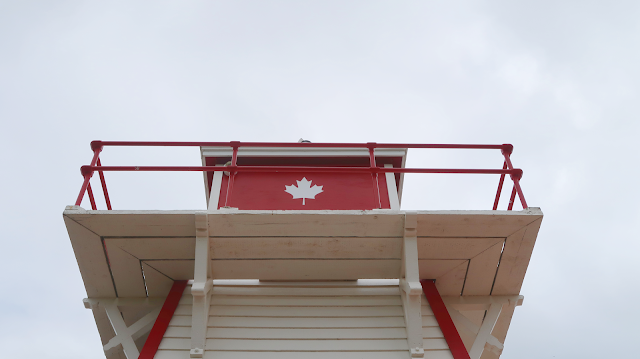 West Point Lighthouse was totally worth the trip, but we didn't end up wanting to spend a lot of time at the beach. It was really, really seaweed-y and rocky, and I suspect it's not super crowded for that reason (there were only about 2 other groups there when we arrived and left). We tried to walk the beach, but it wasn't the most enjoyable for that reason, and only spent about 45 mins to an hour total there. 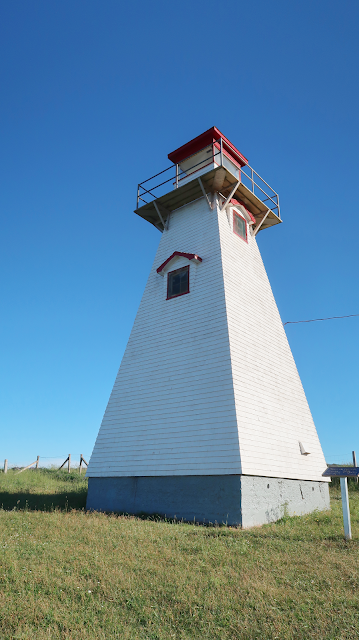 But seeing such a unique lighthouse was well worth the drive out there. Honestly, not much. If anything, I'd probably say I may have considered a different place to stay for the last two days of our PEI portion. Not because we didn't enjoy our AirBnB - it was lovely - more so because we weren't there long enough to really enjoy it. We were always on the go, out exploring, and would be out all day, come home real quick to get ready for dinner, and not come back until the sun was down. I think a cheaper motel or even camping again would have been more beneficial for us and our budget. But honestly, it's not a regret, just a live-and-learn scenario. Thank you for visiting our little piece of the world! 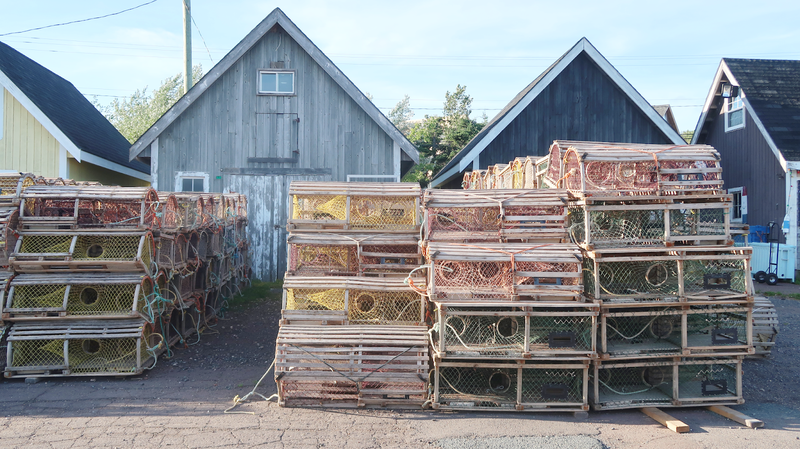 Beautiful photos, and I just loved seeing your adventures in PEI. 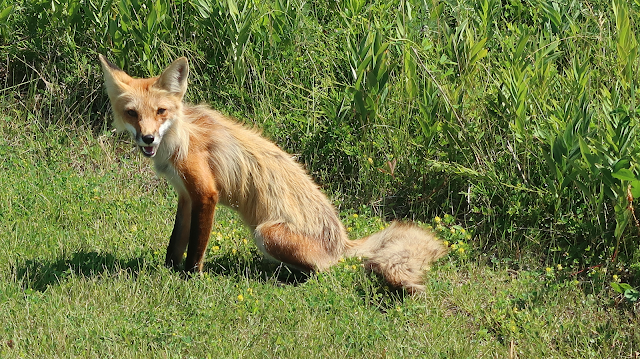 The fox that live in the city of Charlottetown have been know to even jump on trampolines - true story. I will look forward to hearing about the rest of your adventures. 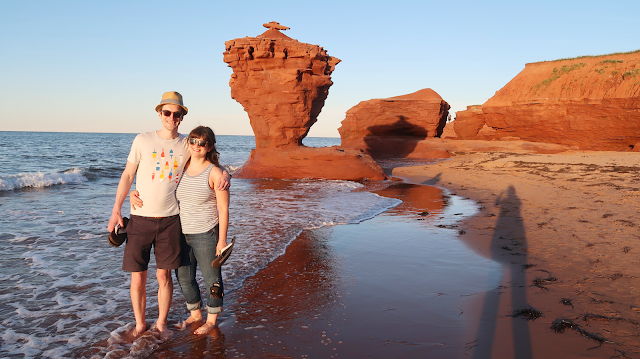 I hope you were able to spend some time in South Eastern New Brunswick, to walk the Ocean Floor at the Hopewell Rocks. I still can't get over how beautiful it is up there! I wish I could go every summer. I wish I had seen them jump on trampolines! We did drive through Fundy National Park on our way back home, but sadly, we didn't have time for Hopewell Rocks. We tried really hard to squeeze it in, but it wasn't in the cards this trip. I'm desperate to go back and make that a priority. 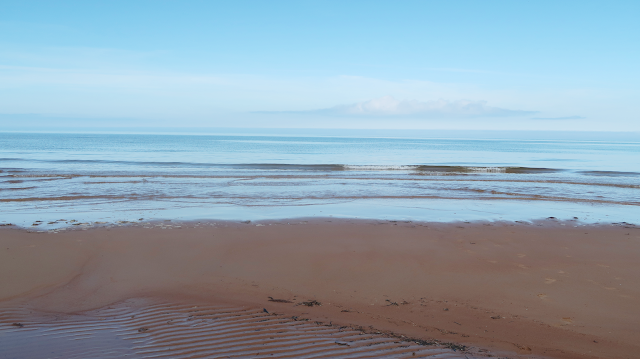 I'd also like to see St. Andrews By The Sea! Thank you so much for this very detailed post! 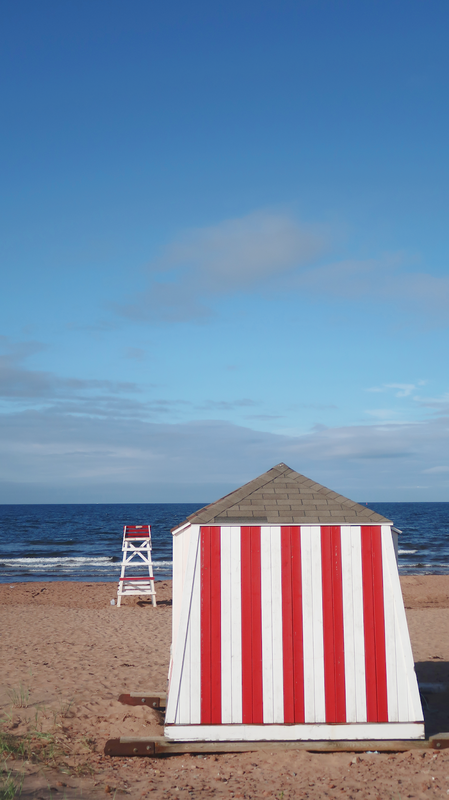 I would love to visit PEI. I'm so glad you enjoyed! Oh wow. Your photos are just beautiful! This post just made me a convert. I had never even heard of PEI until you mentioned it, and now I NEED to go! I love fields, farmland, and the ocean and this place seems to be the most perfect combination of the three. Thank you for this inspiring and very detailed post! I will most definitely be referring back to it if we ever get the chance to visit. I know you say that The Cape is pretty busy this time of year, how did this compare? Did PEI feel busy at all while you were there? That's a great question! It was less crowded than the Cape for sure. 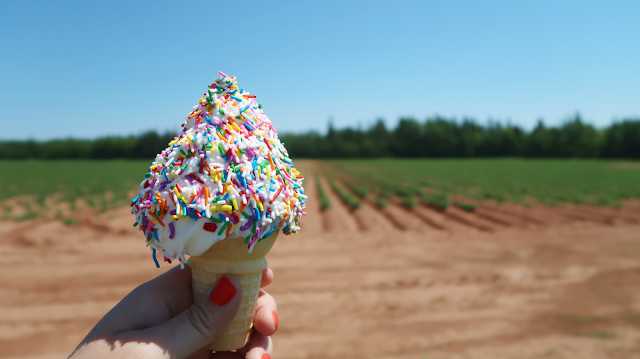 The only places we felt were busy were Twin Shores campground, "in town" (read: Cows Ice Cream) in Cavendish because it was a pretty touristy area and the Skyline Trail in Nova Scotia. But honestly, 80% of the time, we felt pretty secluded. Even Charlottetown seemed calm. 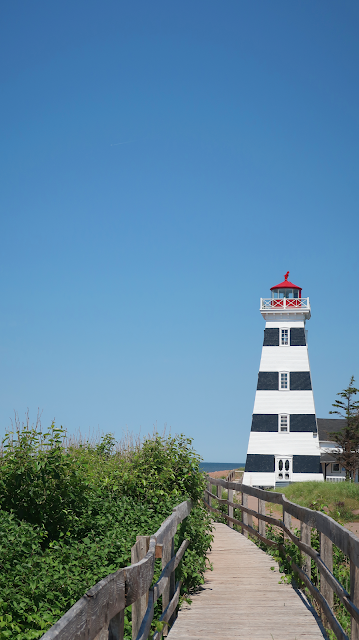 Such a wonderful blog post of your trip to PEI and the surrounding areas along the way. I've been an Anne of Green Gables fan since I was a kid, so its always been a dream to go to PEI and Canada and explore that beautiful landscape. I agree with you in trying to capture more of the authentic feel of the island. 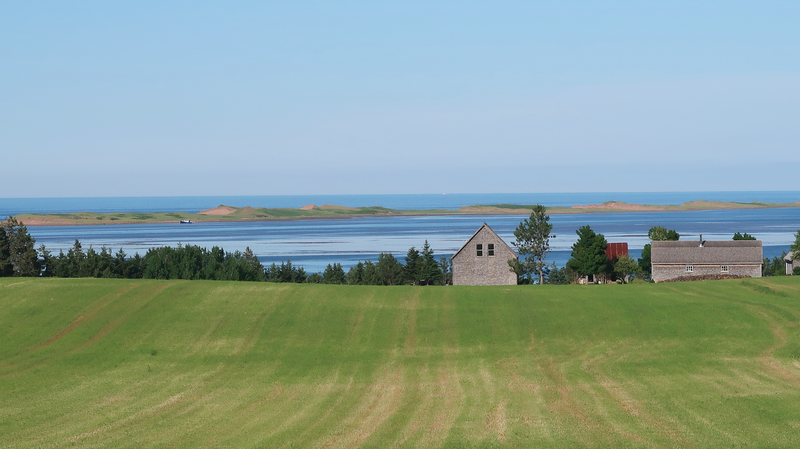 I've looked up Anne of Green Gables house and LMM house etc and I found it to be very touristy looking and wondered if I ever went there that it might dampen the experience of the island, instead of enhance it. Anyway, glad you and Josh had a wonderful time on your trip. I love all your trip blogs and vlogs. I'm so happy to hear you enjoyed this. I hope you get to go someday. Also, what photo editing software do you use? I'm a newbie when it comes to editing photos, and would like to start enhancing some of our vacation photos. I use a knock-off version of Photoshop called Gimp. I used to just use iPhoto because it simplified things, and I don't do much besides lighten things up a little to make them more clear. But I had to start exporting my photos to PNG files because JPGs compressed too much, which made them fuzzy once they were uploaded to a blog or website. So Josh taught me the basic functions in Photoshop and we found this program which is free to download. Another place that I would love to visit! 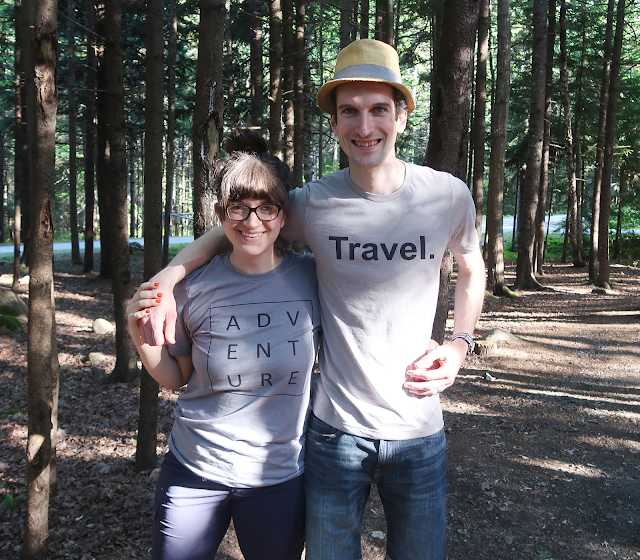 Thanks for sharing your adventures. Sam your pictures are BEAUTIFUL! I couldn't be more envious. This made me really buckle down and decide I really need to visit there. 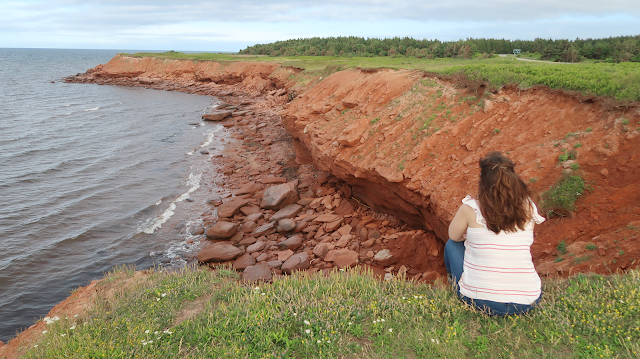 It is actually deep down one of the reason why I moved to New England is thinking I would be that much closer to PEI and have a greater likelihood of visiting! The food looks amazing!! 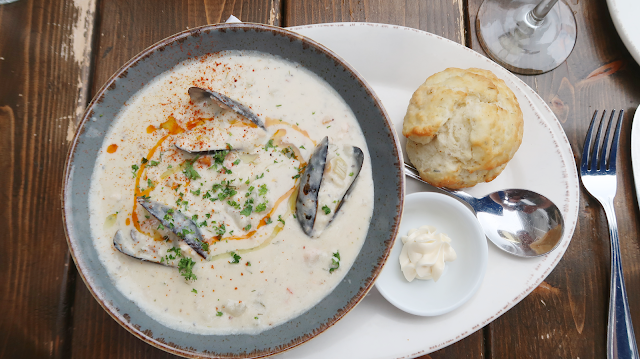 Especially that seafood soup The beaches and landscape is like a dream! And that adorable fox...omg!I don't think I couldn't have been there without seeing something from anne of green gables at least l.m. montgomery's home but I totally get it. If we only had four days I probably would have skipped it too! I hope you made a vlog and can't wait to read and see more about the others areas on your vacation!! I will say, I forgot to mention that we saw the Lake of Shining Waters, which we randomly passed on a road, so that was one Anne thing I got to see :) It's seriously just so beautiful up there, and can't recommend it enough.